At Home Animal Hospital and Mobile Veterinary Services is incredibly fortunate to have the opportunity to team up with one of Maui’s most respected and talented animal behavior professionals – Lisa Giesick, CPDT-KA of Ohana Pet. Lisa has agreed to teach several classes at our hospital beginning in September 2014. 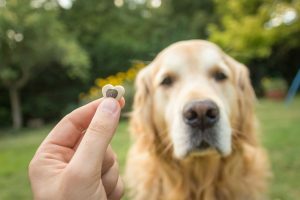 There are many different schools of thought on how best to train your dog, but whether you have a new puppy or are trying to teach that old dog some new tricks, Lisa has the experience and ability to sensitively connect with many different animal personalities to obtain the best results for you and your pooch. Proper training is one of the most critical aspects of creating a strong and mutually satisfying bond between you and your dog – please consider signing up for one of these fantastic classes today – you will be amazed how easy Lisa makes it for both of you to succeed!